AMMONNEWS – The former released Jordanian prisoner, Ahlam Tamimi called on the Arab youth to continue pressuring their governments for keeping their efforts in using the Palestinian prisoners file as an important pressure element in any negotiations policy with Israel. The most horrible part of being in jail is to be locked alone in a cell and not being able to do anything while you see your enemy moving freely, she expressed. ‘I have never regretted what I have done, and if given another chance I’ll do it again’ she added. Tamimi expressed her believes in the rightness of what she has done. Tamimi said in an interview with Ammon News Tuesday that the hostility and aggression is the basic character of the Israeli officials, unless the are forced to negotiate. Ahlam Tamimi, 31, was serving 16 life sentences for her role in a suicide bombing, including taking the assailant to the Sbarro franchise in Jerusalem where he killed 16 people in 2001. deported to Jordan last Wednesday early morning. She thanked Jordan and stated that Jordan people are the heart beat of the Palestinians. 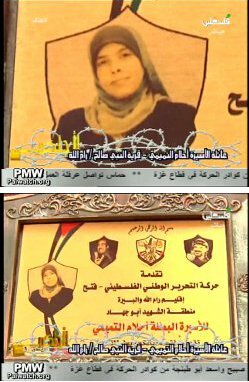 Hundreds of Jordanians flocked to Diwan Tamimi in Dahiyat Al Rashid neighbourhood on Wednesday to celebrate the release of Ahlam Tamimi the only Jordanian prisoner among the first group of 477 prisoners released in exchange for the Israeli soldier Gilad Shalit. About the prisoner swap between Hamas and Israel, she commented that the deal allowed the release of many prisoners who were sentenced a long life terms in jails, and that was a victory to hamas. It’s a brilliant move of the ‘Izz al Dein Al Qassam’ the military branch of Hamas negotiators to include my name in the swap deal although the Israeli military Courts recommended not to include my name in any prisoners swap in the future, she added. Ahlam Father, Arif Tamimi expressed happiness to see her freed and looking forward for her marriage to a released prisoner in the same swap. One day before the terror attack in the town of Itamar in which five members of an Israeli family were murdered in their home, PA TV broadcast a program honoring Ahlam Tamimi, the woman accomplice who drove the suicide terrorist to the Sbarro pizza restaurant in August, 2001. 15 people were murdered in the attack, 7 of them children. One week before the terror attack in Itamar, PA TV honored another accomplice to a suicide attack. Fahami Mashahara drove a suicide bomber to Gilo in Jerusalem in 2001 who killed 19 and injured more than hundred. His daughter was invited to perform a song on PA TV. Palestinian Media Watch has documented the ongoing Palestinian Authority policy of glorifying terrorists as role models. Visiting Tamimi’s home, the PA TV crew interviewed her relatives, who expressed their longing for her and their hope for her release. Tamimi, who is serving 16 life sentences, has never expressed remorse for her role in the terror attack. PA TV is under the control of the office of PA Chairman Mahmoud Abbas.